Managing B.C. student loans is now easier. The governments of Canada and B.C. have integrated their full-time student financial assistance programs - Canada Student Loans and B.C. student loans. What is a Canada-B.C. integrated loan? How does integration affect me? Integration simplifies the management of your federal and provincial student loans. These loans will be managed as a single Canada-B.C. integrated loan at the National Student Loans Service Centre (NSLSC). There's no change to the administration of Canada student loans and grants for part-time students. To find out how integration affects you, choose the scenario that best describes your situation. 1 Apply for student financial assistance through StudentAid BC. 2 If you're approved for funding, you'll receive a Master Student Financial Assistance Agreement (MSFAA). 3 Sign and submit the MSFAA to a designated Canada Post outlet . They will confirm your identity and forward the MSFAA to the National Student Loans Service Centre (NSLSC) for processing. 4 You will receive and manage your funding through the NSLSC . Find out more about how to receive your funding. I am applying for student financial assistance and I have an existing loan. 4 The MSFAA will replace the B.C. Master Loan Agreement and the Certificate of Eligibility and Canada Student Loan Agreement. 5 You will receive and manage your funding through the NSLSC . 6 Your B.C. student loan (held at the B.C. Student Loan Service Bureau) will automatically be moved to the NSLSC and managed as a single Canada-B.C. integrated student loan at the time you receive new funding or as of July 1, 2012. Find out more about how to receive your funding . 1 Continue to apply for student financial assistance through StudentAid BC. 2 Continue to receive and manage your funding through the National Student Loans Service Centre (NSLSC). 3 You will not be required to sign a new Master Student Financial Assistance Agreement (MSFAA). but I'm not applying for more student financial assistance. 1 You still need to submit an application to maintain your interest-free status. download and print a paper copy of the federal Confirmation of Enrolment form (Schedule 2) and submit it to the National Student Loans Service Centre (NSLSC). 2 You'll continue to manage your loans through both the NSLSC and the B.C. Student Loan Service Bureau (BCSLSB) until they are integrated in July 2012. 3 In July 2012, your B.C. student loan will automatically be moved to the NSLSC and managed as a single Canada-B.C. integrated student loan. You'll receive a new consolidation agreement that outlines the new terms of your Canada-B.C. integrated loan. The amount of your monthly payment will not change (your single monthly payment towards your new integrated loan will be the same as your two current payments combined). Review the changes to your master student loan agreement. Review the B.C. legislation that affects your consolidation agreement (refer to Bill 17, Finance Statutes Amendment Act 2011, section 142, transitional provisions). Review questions and answers regarding the student loan agreements changes. I am finishing or leaving school and I have an existing loan. 1 Continue to manage your loans through the National Student Loans Service Centre (NSLSC). 2 In July 2012, your B.C. student loan held at the BCSLSB will automatically be moved to the NSLSC and managed as a single Canada-B.C. integrated student loan. You will receive your new account details from the NSLSC shortly after you loan has been moved. 2 You'll continue to manage your loans through the National Student Loans Service Centre (NSLSC). I am in repayment of student loans. 1 Continue to manage your loans and apply for debt management programs through the National Student Loans Service Centre (NSLSC). 2 In July 2012 , your BC student loan held at the BCSLSB will automatically be moved to the NSLSC and managed as a single Canada-B.C. integrated loan. Continue to manage your loans and apply for debt management programs through the National Student Loans Service Centre (NSLSC). These scenarios are to be used as guidelines only. For more details on how the changes affect you, please contact us. 1. What does "integration" mean? "Integration" refers to the agreement between the Government of Canada and the Government of British Columbia to combine their student financial assistance programs. This integration includes activities related to the disbursement and repayment of both federal and provincial student financial assistance. 2. What is an integrated student loan? An integrated student loan has two lenders, the governments of Canada and British Columbia, however, it is administered as a single loan. An integrated loan has one administrator, the National Student Loans Service Center (NSLSC). The NSLSC disburses funds, provides loan balance information, accepts payments, and adjudicates applications for the Repayment Assistance Plan. The contact phone number for the NSLSC is 1-888-815-4514. 3. When does integration come into effect? There are two phases to integration. Phase one is the integration of the disbursement phase which came into effect August 1, 2011, and benefits students receiving loans or grants. Phase two is the integration of the repayment process which comes into effect July 2012 and will benefit students in the process of repaying their loans. 4. Why is StudentAid BC integrating with the Canada Student Loans Program? The main objective of integrating the two student financial assistance programs is to simplify the student experience by improving service and facilitating streamlined processes. Through integration, students have a single point of contact for managing their Canada and B.C. loans. The integration also enables both governments to be more efficient in the delivery of their student financial assistance programs. 5. How will integration benefit B.C. students? Integrated student loans are easier for students to manage because there is one point of contact for disbursement, repayment and assistance. Students will be required to complete less documentation and contact fewer people to manage their loans. Integration of the disbursement process (which happened August 1, 2011), will allow students receiving loans and/or grants to manage them through one point of contact, the NSLSC. Integration of the repayment process (happening in July 2012), will allow students repaying their loans to make a single loan payment which will be automatically applied to both their federal and provincial loans. 6. Does integration change my eligibility for federal and provincial student financial assistance? No. Integration of student loans only impacts the way your loans are administered and managed. 7. Now that B.C. is integrated, how do I apply for student financial assistance? There is no change to the process of applying for student financial assistance. A single application to StudentAid BC will provide access to Canada and B.C. student financial assistance for full-time students. 8. Will I receive more money as a result of integration? No. Eligibility and the criteria for determining how much Canada and B.C. student financial assistance you may receive will not change as a result of integration. 9. I am a part-time student, are there any changes that affect me? No. The integration of the Canada and B.C. student financial assistance programs only impacts full-time loans. Only the federal government provides loans to students who study part-time. However, B.C. students who wish to study part-time in BC must still apply for a part-time student loan through StudentAid BC. 10. My loan is in default and is administered by Revenue Services of British Columbia, will it be integrated? No. However, if you bring your loan back into good standing (not restricted, not in default/delinquent/bankruptcy, no provincial or federal overaward restrictions) with Canada-British Columbia integrated student loans and/or other BC and Canada student loans (risk-sharing or guaranteed), through the rehabilitation process, it will be integrated. 11. I received my loan before August 2000, will it be integrated? No. There will be no change to loans you received before August 2000. 12. I'm studying in B.C., but B.C. is not my home province, will integration affect me? No. Only students who are residents of B.C. will be impacted. 13. How many other provinces have entered into similar agreements with the Government of Canada? Four: Ontario, Saskatchewan, New Brunswick, and Newfoundland and Labrador. 14. Who can I contact if I have more questions about integrated student financial assistance? Visit StudentAidBC.ca, CanLearn.ca or call the NSLSC at 1-888-815-4514 and have your social insurance number (SIN) ready. 15. I just have a B.C. student loan (no Canada student loan) will it be a Canada-B.C. integrated loan? Yes, if you only have a B.C. student loan issued on or after August 1, 2000, it will be a Canada-B.C. integrated student loan. 1. Will my loan payment amount change because of integration? No, your total monthly loan payment amount will not change. Your new payment will be your current National Student Loan Service Centre (NSLSC) payment plus your current BC Student Loan Service Bureau payment. 2. Will integration impact the rate of interest charged to students in repayment? No. Interest rates charged to students will not be impacted by integration. Students in repayment will continue to pay a floating rate of interest equal to the Prime Rate plus 2.5% per annum or a fixed rate of interest equal to the Prime Rate plus 5% per annum. Contact the NSLSC at 1-888-815-4514 for more details. 3. Do I have to make changes to my online/tele banking payments? If you are currently making payments using the B.C. on-line payee account "PROV BC- STUDENT LOAN REPAYMENT" to make B.C. loan payments, you will need to make changes as this payee account will be discontinued after June 30, 2012. You will need to change the Payee to "National Student Loans Service Centre" or your reoccurring online payments will not be processed. You will receive a letter from the National Student Loans Service Centre (NSLSC) at the beginning of July with further details. 4. I am currently making my payments online at the National Student Loans Service Centre, what will happen to my payments? If you are already set up for online payments at the National Student Loan Service Centre (NSLSC), you can continue to make your payments online, but you will need to revise the amounts. You will receive a letter from the National Student Loan Service Centre (NSLSC) at the beginning of July indicating what your new monthly payment amount is (your current National Student Loan Service Centre payment + your current BC Student Loan Service Bureau payment). You will need to change your online payment amount to reflect the combined amount that will be identified in the letter. 5. I make my payments using pre-authorized debit (PAD). Do I need to make any changes to my PAD arrangement? 6. 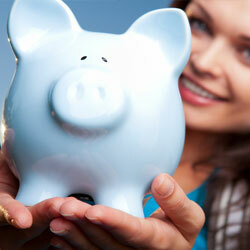 Are the current debt management programs offered in B.C. impacted by this change? Yes. There will be some changes to current debt management programs offered in B.C. In July, 2012, the Interest Relief Program will be replaced by the Repayment Assistance Plan. B.C. will continue to adjudicate and administer the provincial repayment programs, including the the B.C. Completion Grant, Loan Remission, Loan Forgiveness, and the Pacific Leaders Programs. For more information on these programs click here or contact StudentAid BC. 7. I'm currently on the B.C. Interest Relief Program. Will I still be eligible after the Canada and B.C. loans are integrated? Interest Relief will be available for all eligible B.C. Student Loan borrowers until July 1, 2012, at which time B.C. will be aligning with Canada and offering the Repayment Assistance Plan. If you are on Interest Relief at the time your loan is moved over to the National Student Loan Service Centre (NSLSC), your Interest Relief period will, in most cases, continue until the end of your approved period. You will receive a letter from the National Student Loan Service Centre (NSLSC) with details regarding your specific situation. 8. I am currently on Pacific Leaders (or B.C. Loan Forgiveness), what will happen once my loan is moved over to the National Student Loans Service Centre? The B.C. portion of your integrated loan will continue to be on the Pacific Leaders (or B.C. Loan Forgiveness) program. The National Student Loans Service Centre (NSLSC) will Be sending you a detailed letter shortly after your loan has been moved. 9. Who can I contact for more information about repaying my federal and/or provincial loan? Contact the National Student Loans Service Centre (NSLSC) at 1-888-815-4514. 10. My B.C. student loan is on a B.C. debt management program (for example, loan forgiveness) and I also have a Canada student loan. How will this work? Your B.C. student loan will continue to be identified as a Canada-B.C. integrated student loan. You will also have a Canada student loan. Any communication you receive from the National Student Loans Service Centre (NSLSC) will identify these two types of loans.